Here you will find articles of a wide range of subjects that are not already in specific categories. We hope this category will grow and grow and if you would like to see something added please let us know at: myhistoricalballinrobe@gmail.com. We would also welcome information from you, either as an article or comment, which you can add to the site directly yourself see 'Add your own story'. "A glimpse back into an Ireland we deny knowing"
Who was this Mrs. Burke we wonder? Ballinrobe - Mayo's Oldest Town and the "Secrets of the Irish Landscape"
Ballinrobes historic highlights to be included in free introductry talk for Heritage Week. A positive business start-up leads the way! Can anybody help with information or ideas please? 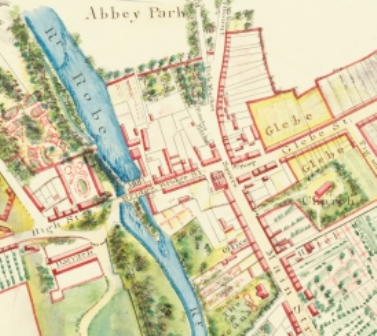 Dr. Patrick Wallace's article on Ballinrobe and its Environs in the Pre-Famine half-century. It has been described by people who read the final draft as "wonderful", "terrific" and "stunning". Do you remember May Day in your area or school? Ballinrobe could typify this films essence with her well known visitors, scenery, racing, fishing, history and heritage, music and dance and her emigrants and new immigrants! Ballinrobe included as one of the Historic Towns is great news for the community. Researching the Tudor Period around Ballinrobe? Ballinrobe native Declan Varley recalls his memory of his Dad's and indeed hundreds of fishermen in this area, as they look forward to 'tight lines' in the coming months. A series that tells the extraordinary stories of our houses and who lived in them before us.